If you’re a Comcast customer in tech-friendly California, good news—your available bandwidth will likely double today, for free. But you may need a new cable modem, too. Customers in California, as well as select markets in Kansas, Missouri, and Texas, will see their available throughput about double, the company said on Friday. The available throughput will vary by plan. Specifically, Comcast has increased the speeds of three Xfinity Internet tiers: “Performance” now offers speeds up to 50 Mbit/s, up from 25 Mbps; “Blast” is now 105 Mbps, up from 50 Mbps; and “Extreme 105” has been bumped to 150 Mbps. Comcast has not announced any changes to the other plans. While the vast majority of Comcast subscribers in California will benefit from the upgrades, some key areas won’t—sorry, Santa Cruz, Scotts Valley, Isleton, Lodi, and Rio Vista. The Olathe, Kan., Independence, Mo., and Houston, Tex. markets will be the markets Comcast serves with the new upgrades in the other states. Comcast made similar upgrades to 14 states and the District of Columbia in April. To take advantage of the new speeds, you can unplug and power back on your modem, which should automatically trigger the upgrade, Comcast said. Otherwise, you can wait, and the upgrade should occur automatically over the course of the next few days, the company said. There is one caveat: you’ll need to have a router capable of the new speeds. 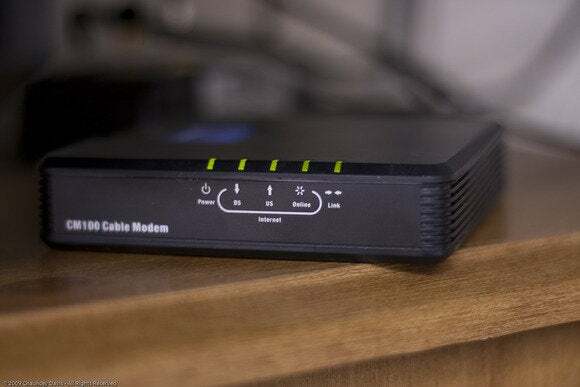 Comcast said that it would notify customers if they didn’t have a qualified cable modem to take advantage of the higher speeds. What isn’t clear, however, is if those customers will need a Comcast Xfinity WiFi modem to take advantage of the new, higher speeds. So far, the new upgrades don’t actually appear to be live. As I’m working at home today, I unplugged and rebooted my modem. (I subscribe to the Performance tier.) But a quick check of Speedtest.net yielded speeds of about 20 Mbits/s, nothing close to the 50 Mbits/s Comcast promised. Comcast has, however, robocalled my phone several times to ask me to upgrade to the Xfinity WiFi modem, which ties a controversial open hotspot to the cable modem. Comcast representatives said that customers will be notified of the upgraded performance tier via email, letter, or phone, separate from the Xfinity WiFi automated sales pitches. As I recently warned, however, you shouldn’t need to lease an Xfinity modem from Comcast to take advantage of the faster speeds. In fact, you shouldn’t have to lease a modem at all. Why is that important? Because your cable modem may be nearing the end of its effective life. In my case, for example, my Comcast-branded Motorola Surfboard SB5101 cable modem is only rated for up to 30 Mbits/s down—enough to handle a 25-Mbps connection, but not capable of handling the 50 Mbits/s that Comcast now offers. I'll need to upgrade. In any event, Comcast is busy trying to buy Time Warner Cable for $45.8 billion, and trying to convince regulatory agencies to let the deal go through. 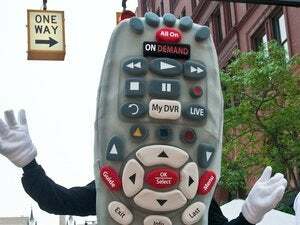 Comcast has upgraded its consumer services roughly annually. But its recent upgrades to its service in Washington D.C. and tech-friendly California come at an opportune time. Correction: Due to PCWorld's error, the markets of Olathe, Kan., Independence, Mo., and Houston, Tex. were originally stated to be excluded from the upgrades. They will, in fact, be the markets Comcast rolls out its upgrades to in those states. Comcast originally stated that Los Gatos , Calif., will be excluded from the new upgrades; that statement was in error, a Comcast spokesman said.